When the image was leaked out on the internet, it was reported to be the next generation Toyota Corolla however, as it turned out to be – it was not. Since the magazine page is from Japan and very little understanding could be found from it if any. 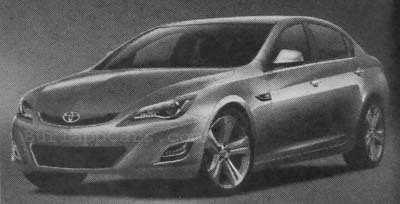 Translating via google revealed that this is quite probably the next generation Toyota Mark-X/Chaser. According to Best Car Mag, the FT-86 and the BRZ will begin with an annual production run of 150,000 units given the demand it has seen after its initial reveal. This interpretation of a 4-door sedan is probably to cash out on the fun factor that Chief Designer of Toyota has promised reintroduced in their cars. It may very well be the successor to the cars such as Toyota Altezza and Chaser which left Toyota for Lexus as the automaker decided to follow a luxurious image with its 5-star brand. The wheelbase could be shortened for added fun-factor. If you can remember Toyota’s Design cheif said that we’re working to put the fun factor back in our cars. This can probably be it. The Mark series has had the drift cult associated with it since a long time, so I believe it is the right move. Plus, the Altezza is gone and was popular so who knows. Atleast we know that its not Corolla. 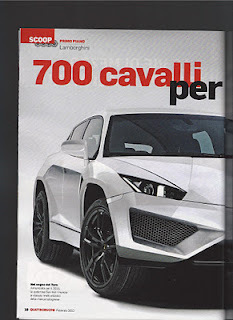 Can this be the Lamborghini's SUV we've all been hearing about?